“Ma’alaea” is named for one of Diana and my, favorite places on Earth (so far). It’s located between Kihei and Lahaina on Maui. It’s close to everything on Maui, has a beautiful beaches and is far from the maddening crowd. It’s our favorite place in paradise. 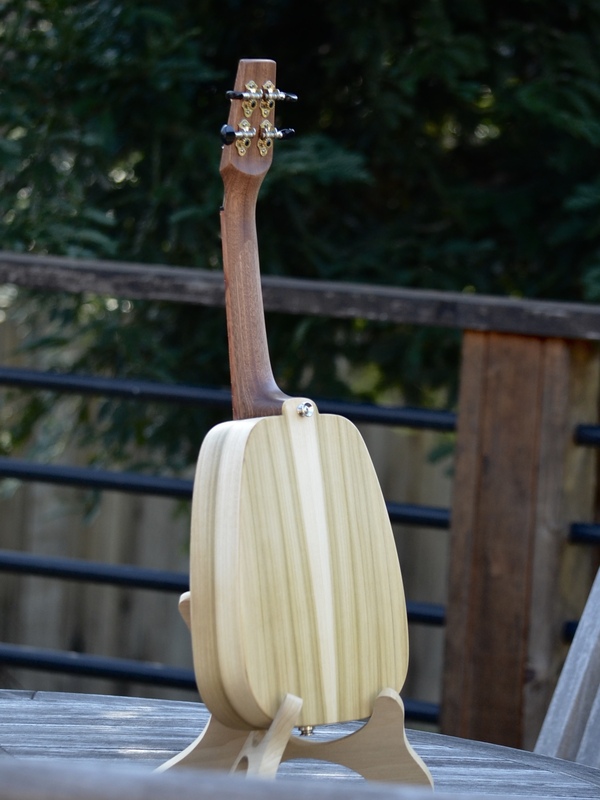 Ukulele Ma’alaea’s birdseye maple top reminds me of a wave receding off a pebbled beach. 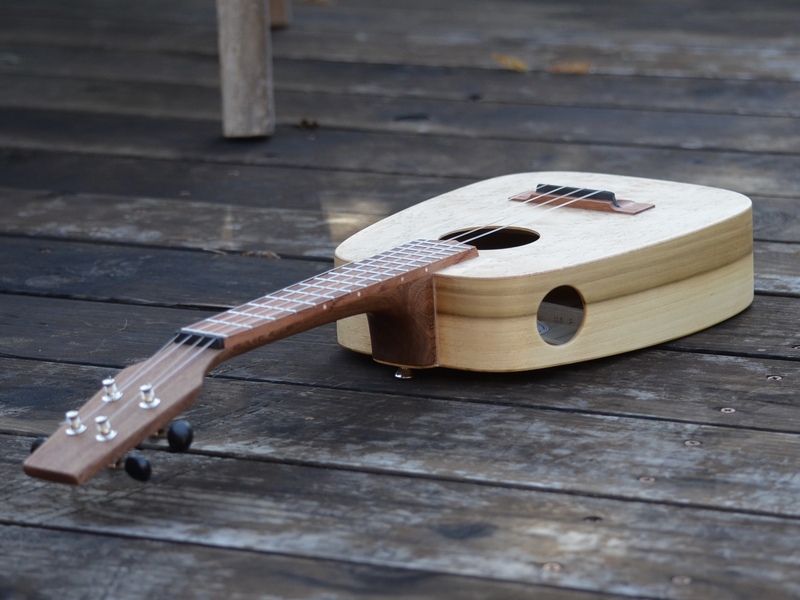 Ukulele Ma’alaea is an IDeale™ concert Keystone. That is, she has an IDeale-size body with a concert, 15″-scale neck. 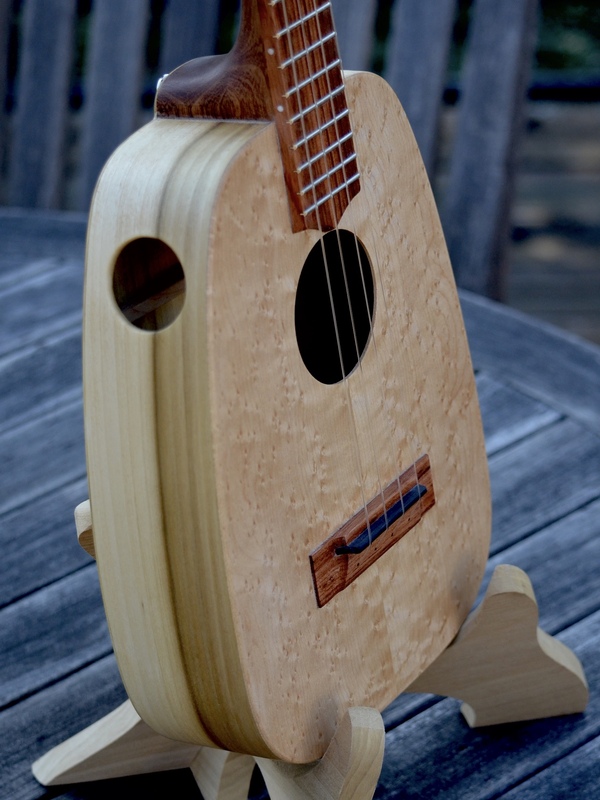 The slightly larger IDeale body gives her a nice, full, tenor-like voice while her concert-scale neck makes her easily playable for people with smaller hands. 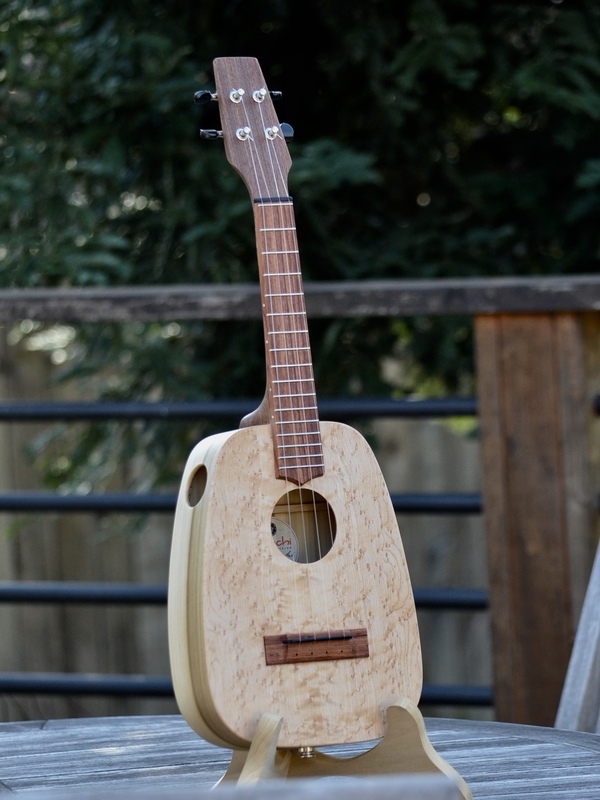 Her big voice is surprising for a concert ukulele. 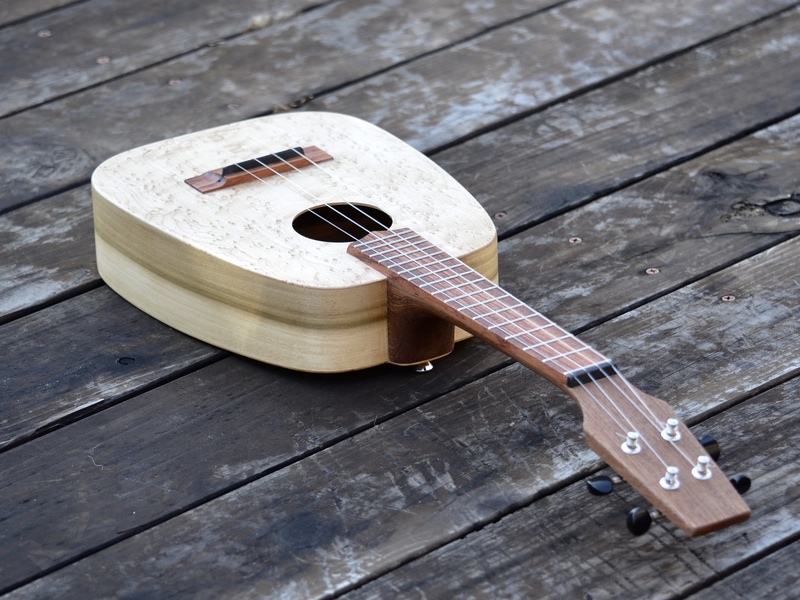 She comes with a K&K Sound Aloha Twin pickup and is tuned low-G.